Bryson DeChambeau is on quite a roll. 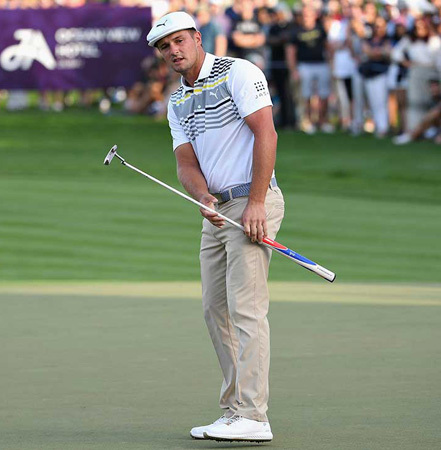 Bryson’s win yesterday at the Dubai Desert Classic was his 4th in his last 9 worldwide events. That folks ranks up towards Tiger Woods’ territory. Along with the full 4 years from 06-09 when he won 45.2%. Yet, all those on-course high level calculus/physics calculations are taking too much time as Golfworld’s John Huggan writes. Touché. If you don’t believe it, watch this. For while his scientific mind is impressive, DeSlowbeau definitely needs to hit the edit button on preshot routines. Many times less is more.